Providing full service property management to real estate investors in San Fernando Valley. Coastline Real Estate Advisors, Inc. has been serving a diverse clientele throughout several Southern California cities, and we are now expanding into new territory. If you are looking for apartments for rent in the San Fernando Valley, you will find our selection spans every taste and budget. The Valley is a great place for those who want to work in Los Angeles and have the “city life” nearby, but who prefer to live away from the hustle and bustle of that area. Those who seek apartments for rent in San Fernando Valley are more apt to find larger living spaces for lower rent. Residents of this area range from young families wanting safe, lively neighborhoods in which to raise children to professionals wanting to stay close to the city. 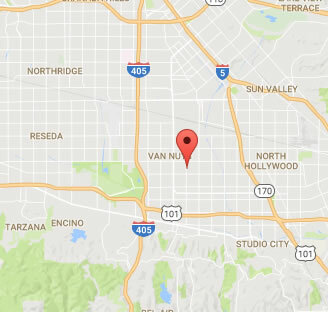 Search our listing of apartments for rent throughout San Fernando Valley, and apply online today. Welcome to our community! Located in the heart of North Hills, CA. Our communities enjoy the convenience of being close major freeways, public transportation, popular restaurants, large shopping centers, public schools, parks, and much more. 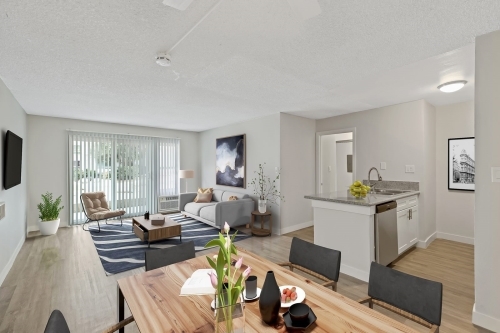 Our newly renovated, pet friendly apartments are freshly painted with all new stainless steel appliances, A/C Unit, granite countertops, vinyl plank flooring and spacious closets. Call us today to set an appointment for a tour. Se Habla Español.